ActivArmor founder, Diana Hall, developed the product in 2014 while running a mentoring program for children in poverty. Some of the children had backgrounds with domestic violence and substandard living conditions. They would often come in with filthy casts, from playing on the playground and just living a kid’s lifestyle. The casts were dirty and smelly after 4-6 weeks, and the children couldn’t even wash their hands to have a snack! Since then, ActivArmor has helped hundreds of pediatric patients, by providing a waterproof, washable, hygienic alternative to traditional casting. 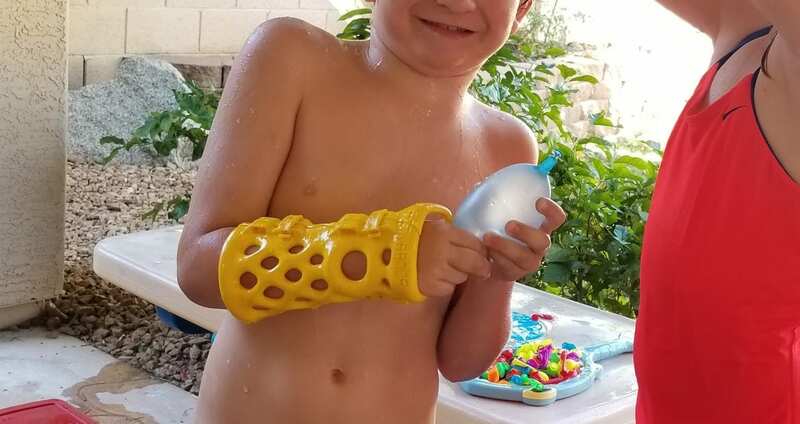 No more holding your arm outside the pool or shower in a bag, or sticking sharp objects down inside your cast to scratch. “My son, Robert, is a very active child: water skiing, climbing, baseball, swimming, you name it and as such he injured his arm the first week of summer vacation. Knowing his injury required a cast, we assumed Robert would miss out on all of the summer fun with his friends. He was going to have to wear a stinky itchy cast like his sister did before him. given that Robert had just been invited to a pool party, I asked the doctor if there were any options. 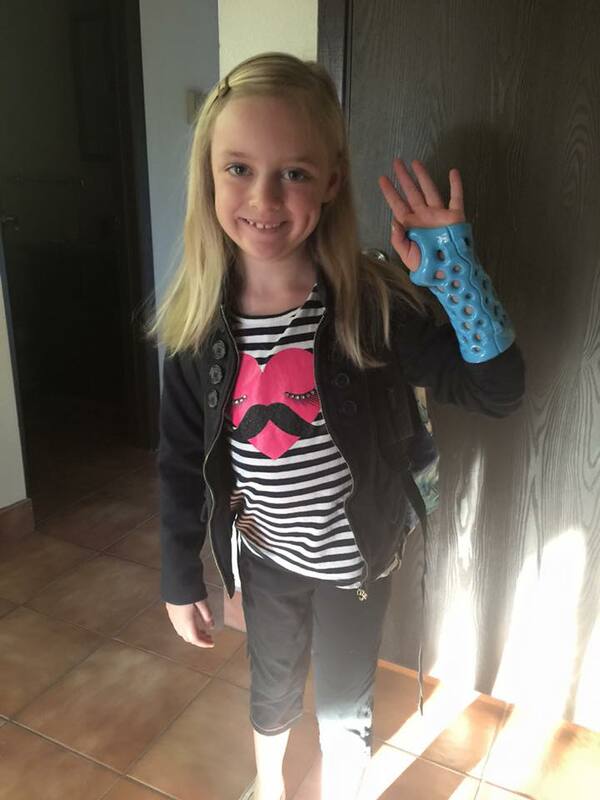 When the doctor prescribed an ActivArmor cast we were thrilled! ActivArmor was the answer to what would’ve been a dreary summer otherwise. My son said it was very comfortable to wear. He loved being able to shower with the cast on. 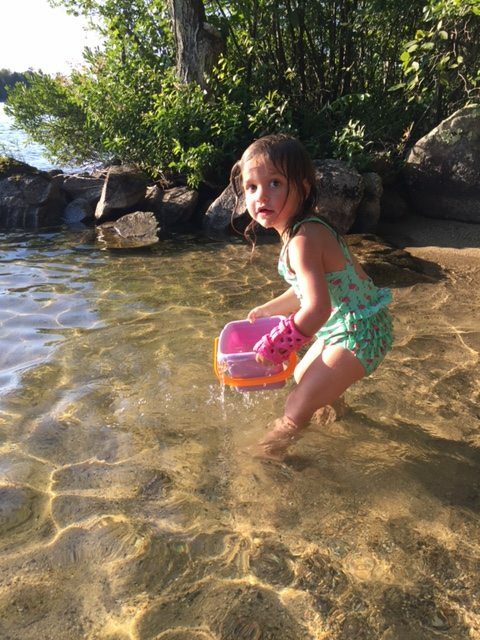 No smell, no discomfort, and no irritated/itchy skin.” – Jane S.
“As a 3 year old, Haven is as active as they come, loves to run, play, swim, and get dirty. The ActivArmor splint didn’t slow her down one bit. She never complained about wearing it, and we as parents were not concerned about her doing all those “kid things” with it on her. 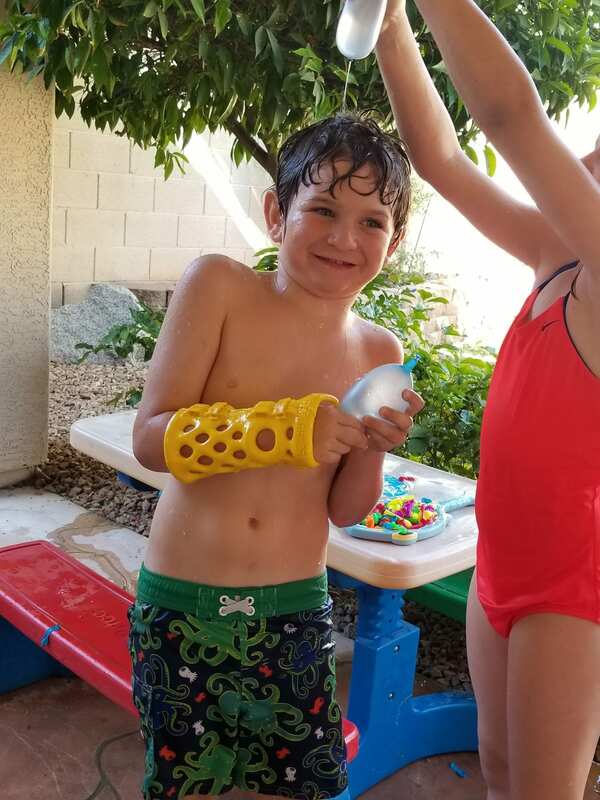 No doubt in our minds, the ActivArmor splint saved our vacation and Haven’s summer.” – Dad, Jonathan W.
“Rya got on her new and improved cast – [ActivArmor]. She loves it and can finally bathe without a bag over her arm!! 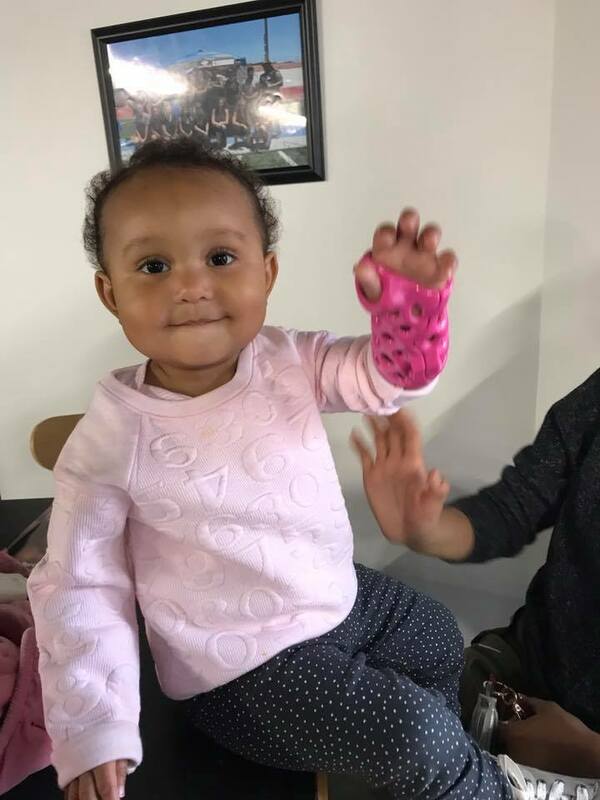 !” – Mom, Sara N.
If your child needs an ActivArmor cast, just bring a prescription from your doctor (downloadable form on www.ActivArmor.com) and make an appointment at any of the clinics listed on our website!